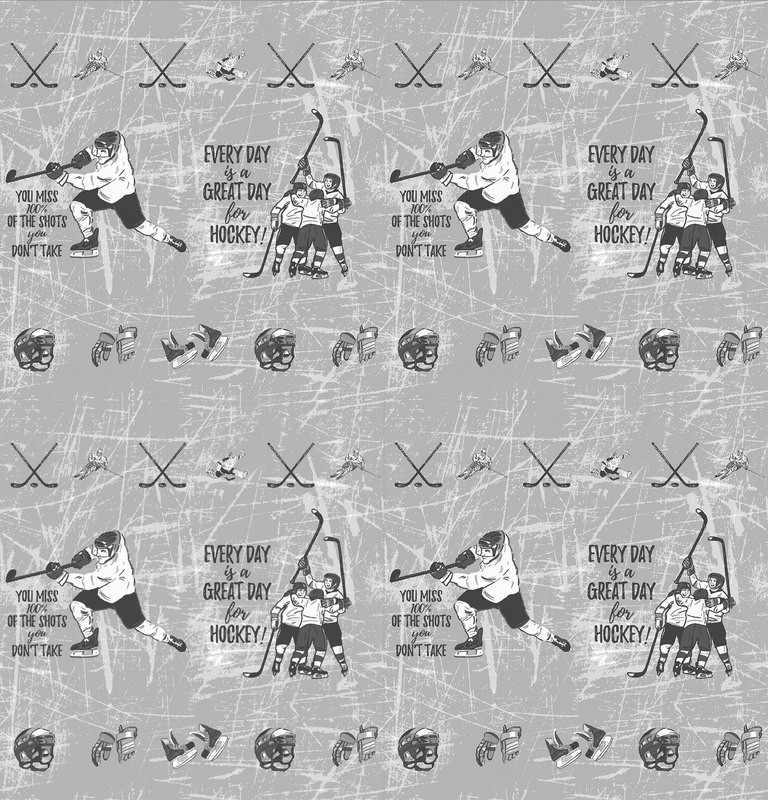 I set out making this design to showcase our family’s love for hockey. 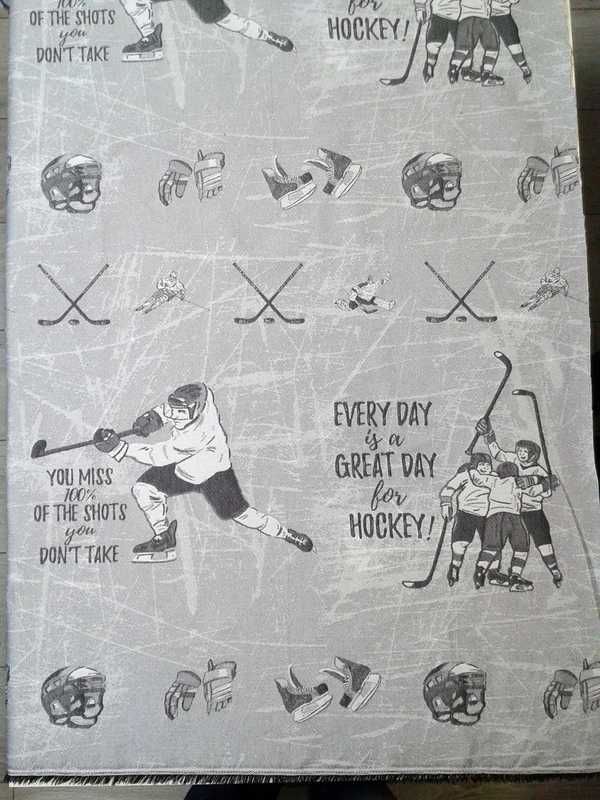 I grew up watching my brother play hockey until I was a teenager. My husband Billy and I met at a hockey rink in the Crowsnest Pass in 2000 in true Canadian fashion. My husband continued in hockey and went on to play for the University of Lethbridge Pronghorns for 5 years and continues to volunteer his time helping to coach, this year for our local Midget AAA team and our sons team. Our 5 year old son spent his first year in hockey last year and will be starting continuing again this year! 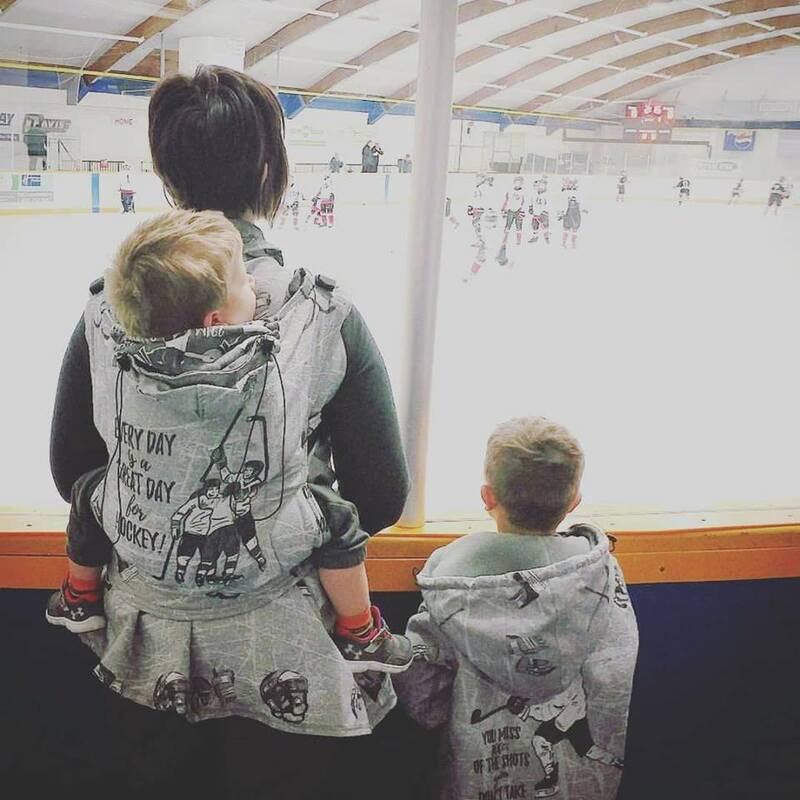 I have to admit, I thought I wouldn’t like being at the rink, but I loved watching and cheering from the sidelines and look forward to many more years at the rink with our two boys. 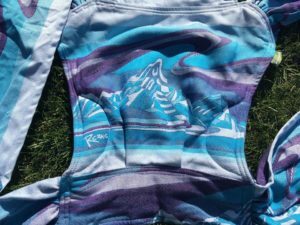 PRE-ORDERING IS CONFUSING AS THERE ARE MANY PRODUCTS SOME OF WHICH INCLUDE FLEECE Color Choices AND Size Choices. PLEASE READ CAREFULLY AND TO THE END. ONCE PRE-ORDER CLOSES, These products will no longer be available for purchase. Prices listed are for the full payment; 50% of this is a non re-fundable deposit. 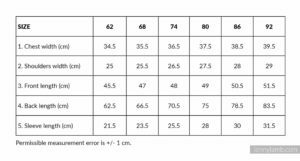 If you choose to cancel your order before the production of your item is complete, you will forfeit 50% of your payment. We reserve the right to cancel the pre-order, should the minimum order quantity not be met by our order deadline (November 1st). If this occurs, we will refund your entire payment in full. We expect production of items to take 4-6 weeks. Your order will be shipped to you within 3 business days of us receiving them. The Diaper Drawer is not responsible for potential delays in production time. Production is the sole responsibility of Lenny Lamb. 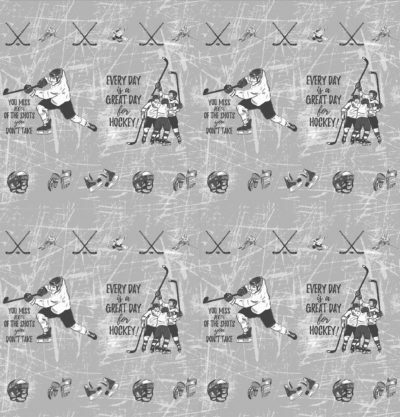 Actual colors of the fabric may vary from pictures. 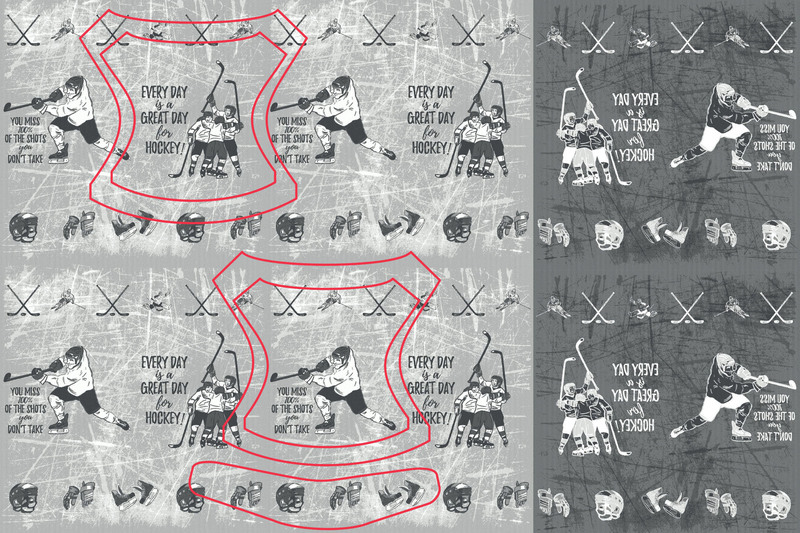 Pattern placement may vary from the one presented in the pictures. The placement picture describes actual placement for the Ergonomic Carrier as well as the Hobo bag, however does not depict color. Colors will be as in woven swatches. 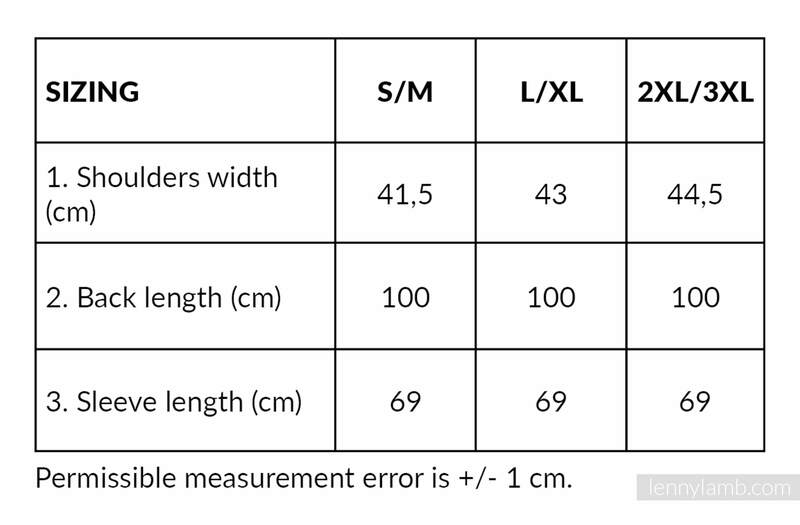 Jacquard Fabric, 100% Cotton. 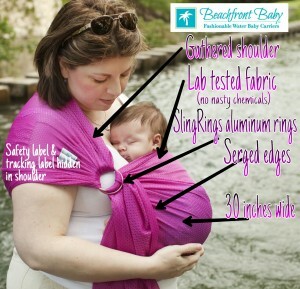 Width of wraps and ring slings is 140 cm. 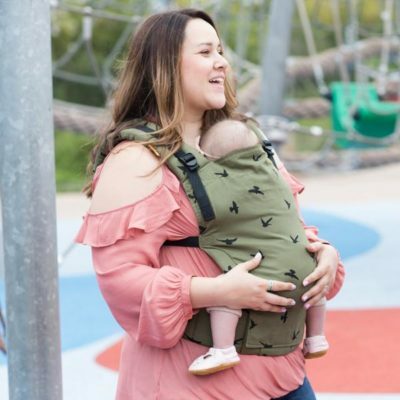 Soft Structured Carrier Placement OPTIONS! Images in this section are to show you what the specific product is. Patterns in the pictures are NOT what you are ordering. 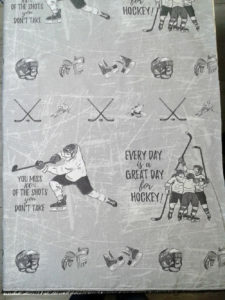 You are ordering the “Power Play” print. ***** YOU WILL HAVE YOUR CHOICE OF DESIGN PLACEMENT! 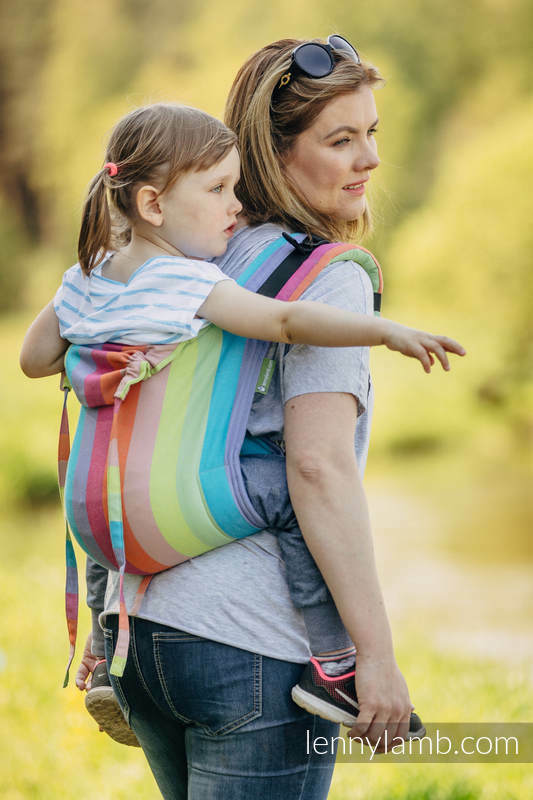 LennyLamb Ergonomic Carrier is a type of a structured carrier with a special system of the straps and buckles so as to provide you with a carrier which assures perfect fit. The straps can be worn crossed. 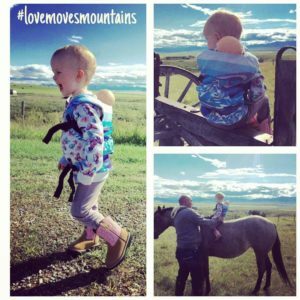 The LennyLamb fleece Babywearing Sweater is the perfect product to keep active parents and their babies warm outside in fall and winter. Whether you’re enjoying family adventures outdoors or just running errands, the thermal properties of the fleece fabric will let skin breathe freely and keep you dry even in extreme weather conditions. It is very lightweight, non-creasing, soft to the touch and quick drying. 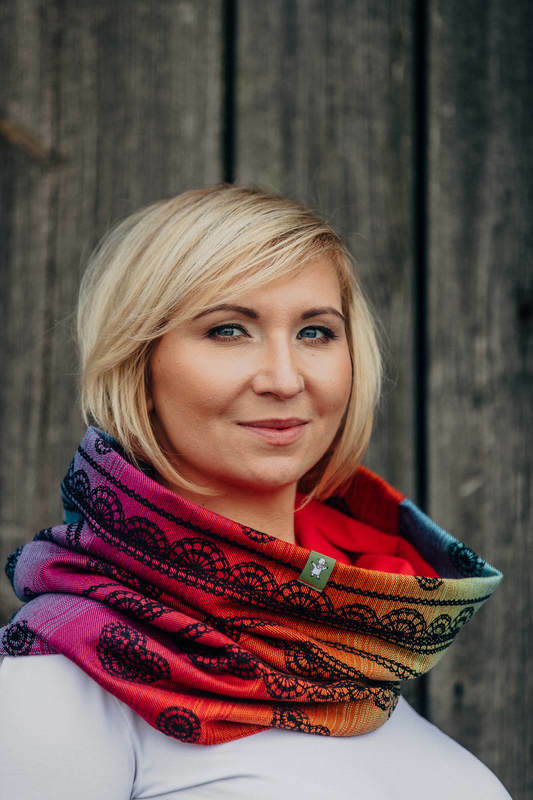 The fabric is made in Poland and has been certified safe for people and the environment. Use this sweater for a front or back carry. t has special snug pocket for the baby. There is also a hood attached – it will protect your baby’s head from cold, wind and rain. 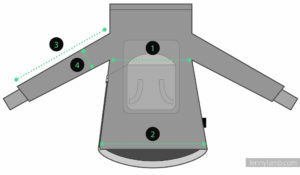 There is a zipper on the right side of the sweatshirt to simplify putting it on. 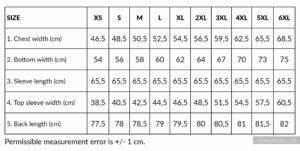 This sweater is unisex and comes in five sizes: S, M, L, XL and XXL. The attached cowl and accents are made from LennyLamb’s stunning woven fabrics. 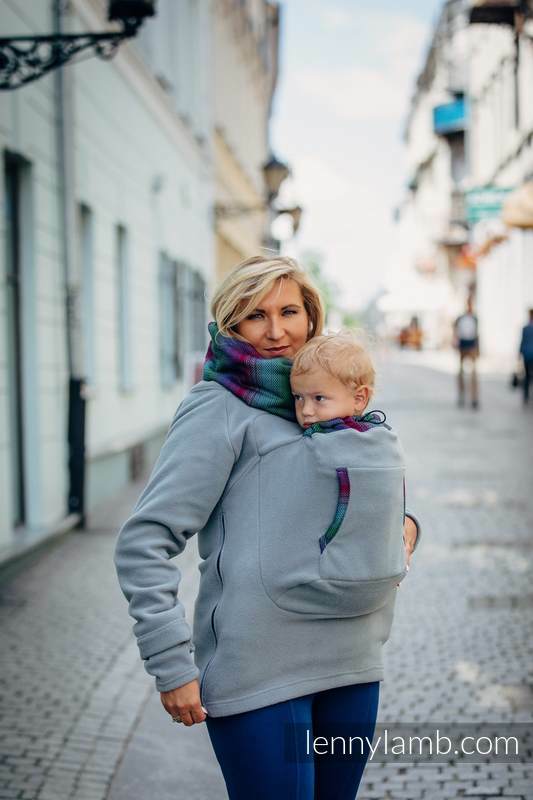 IMPORTANT: This sweater is not a baby carrier. Use on top of your favourite carrier. versatile it will work for any woman! 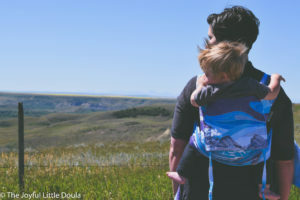 Long flowing top, snugly warm pregnancy cardigan and even while babywearing!! 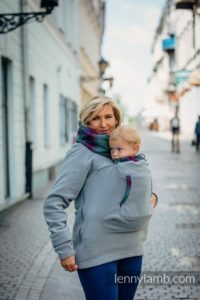 It also proves to be a babywearing cardigan – you can cover your baby worn in a wrap or a carrier. 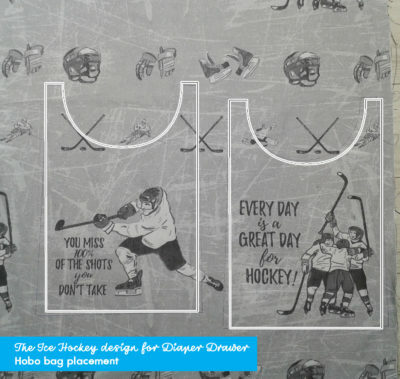 Perfect for keeping your bottom warm at the rink!!!! 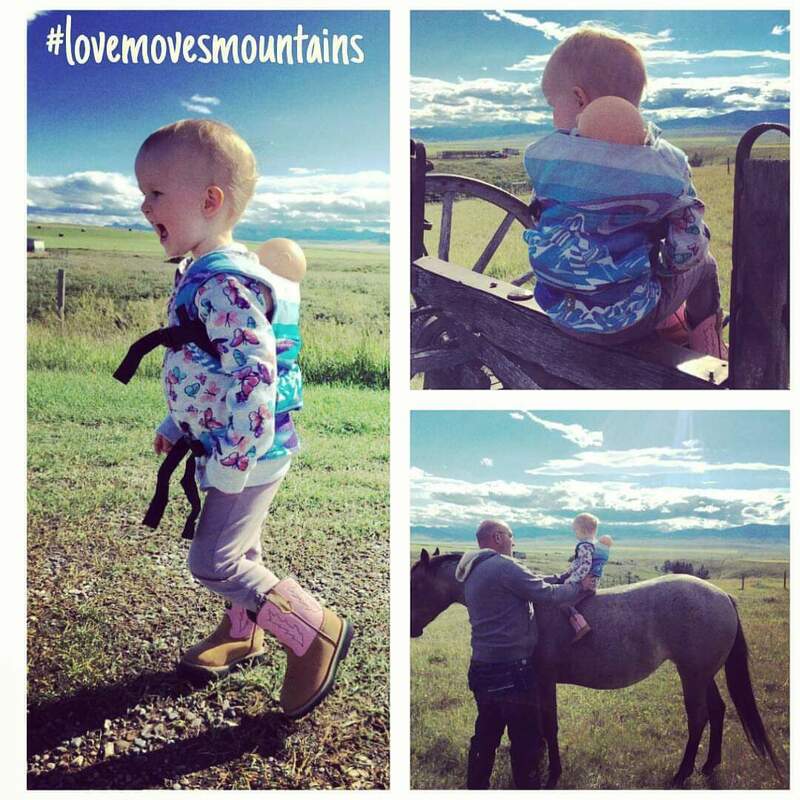 LennyLamb Bear Romper is a smart solution, not only for carried babies. 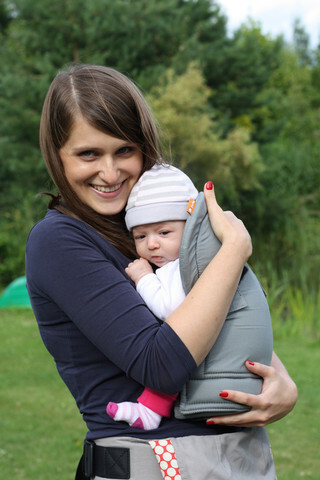 Its special, more loose design allows putting the baby in a more comfortable way into a wrap or a carrier. Colourful finishing elements make the romper look cute and cosy which turns everyday walk into a joyful adventure. 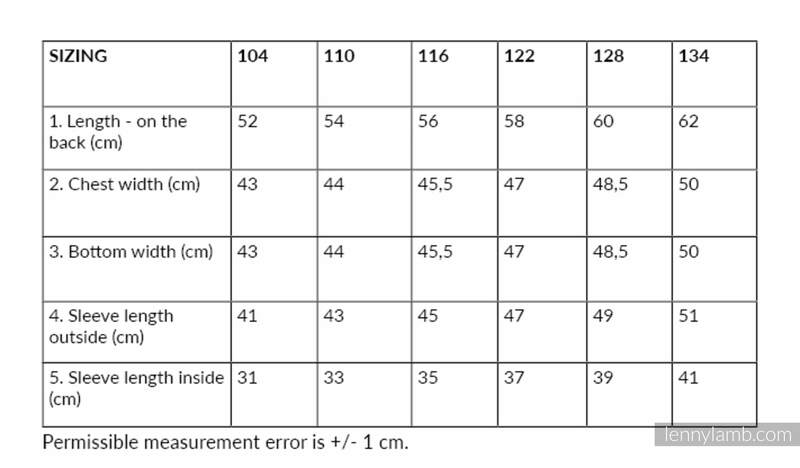 Sizing provided in the product description is given in centimeters and denotes the baby’s height. Our rompers are handmade. 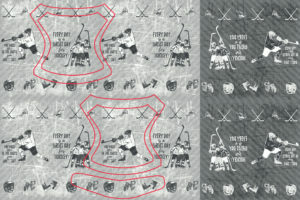 Each one of them is unique and therefore the pattern placement on the woven fabric finishing elements may vary from the one presented in the pictures. 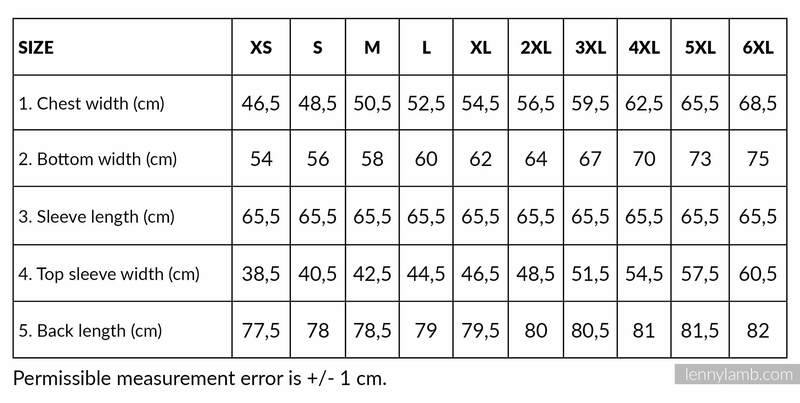 Note that the sizes listed are in European measurements. 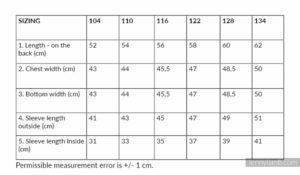 The size number indicates the measurement in centimentres from head to heel. 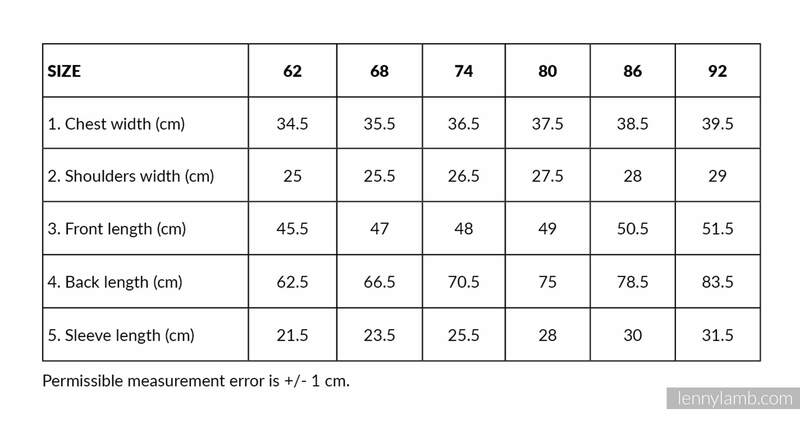 We suggest you measure your child to get an accurate size fit. 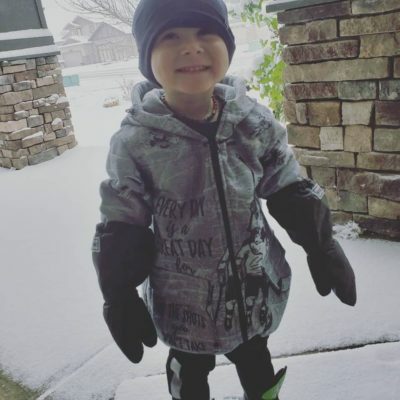 We suggest going up a size if your child measures in between sizes. 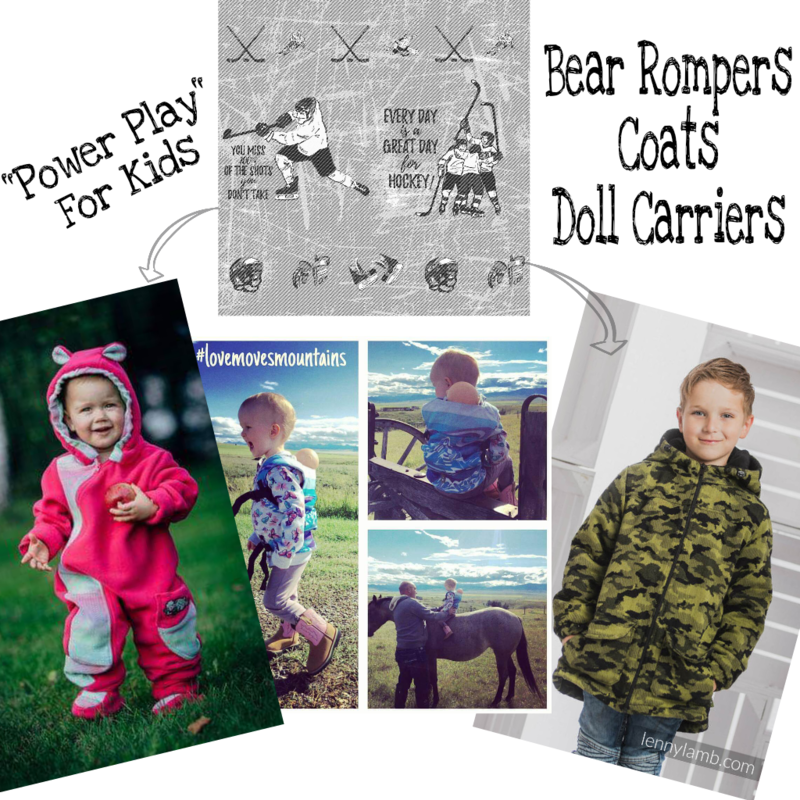 The children’s coat is a unique product made out of one of LennyLamb dedicated fabric. Our fabrics are the effects of exploration and experimentation. We draw inspiration from the world of art, methods of handweaving and fashion trends. All LennyLamb products are single origin – from the design to final product made in one place. We’ve chosen the fabrics for the Coat carefully to make your child look cool and feel comfortable. It is lined with warm and soft fleece of your choice. 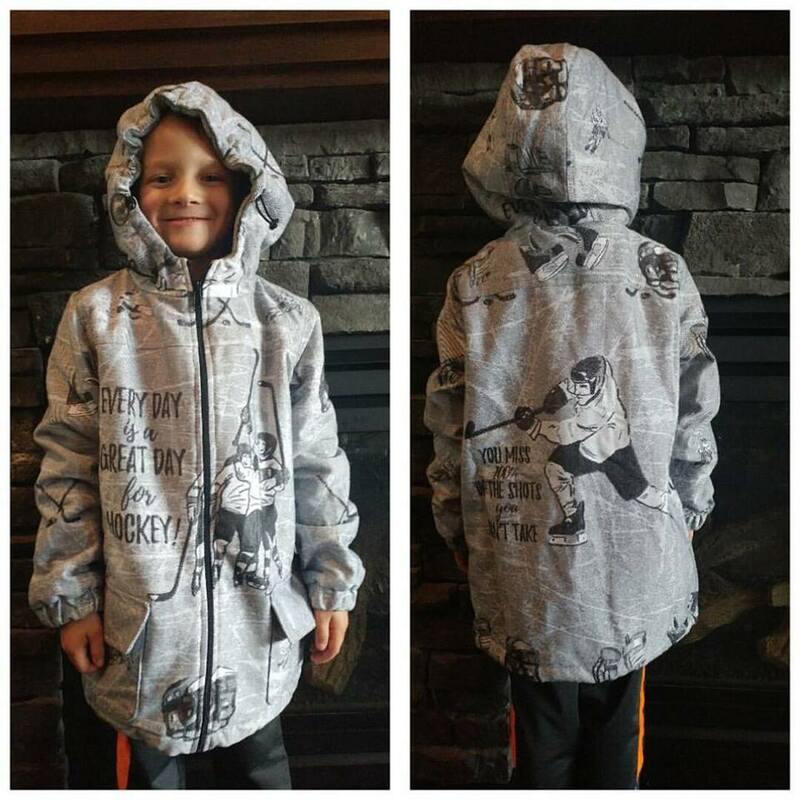 It has two pockets and a hood. All you need can be packed into new Sackpack made out of wrap fabric . And it will suit perfectly to your favorite wrap or carrier! 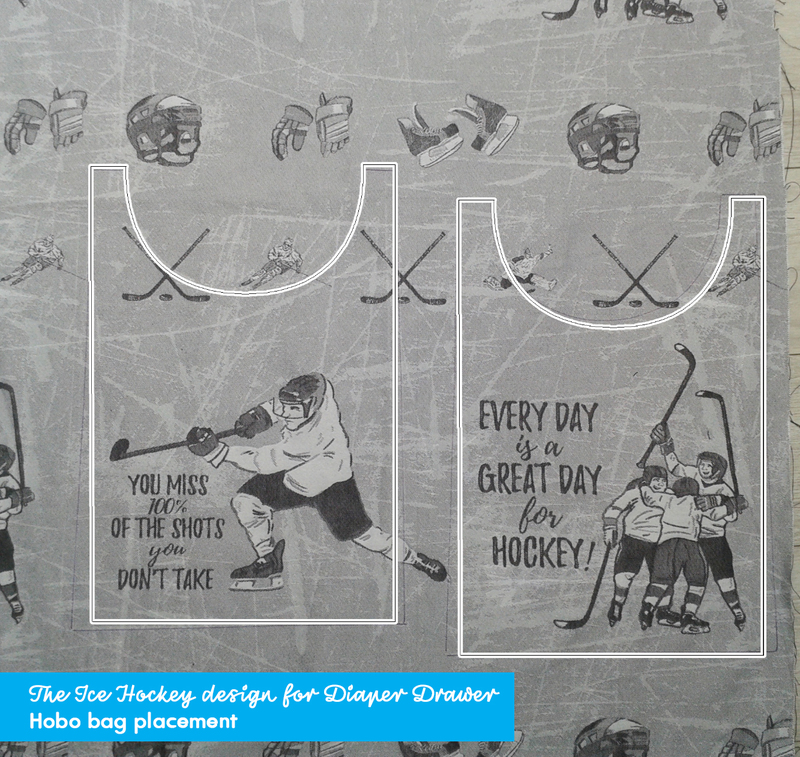 Need something to transport gear or snacks to the rink? This is the perfect bag for you too! 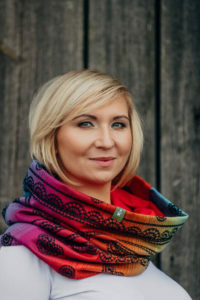 Snood Scarf will keep you warm on cold days but it is also a very fashionable piece of your wardrobe. 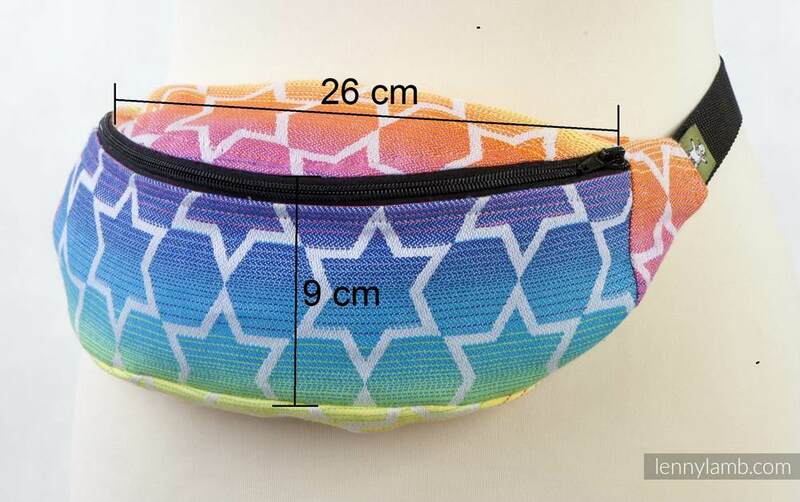 It will add some color and stylish look to your everyday outfit. 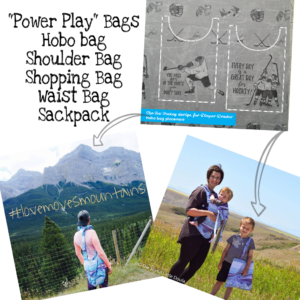 It is also a way to have a piece of your favorite wrap always with you. 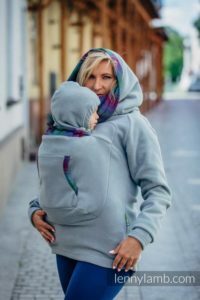 Snoods are made in two versions: a lighter one with knitted fabric and the warmer one with fleece. 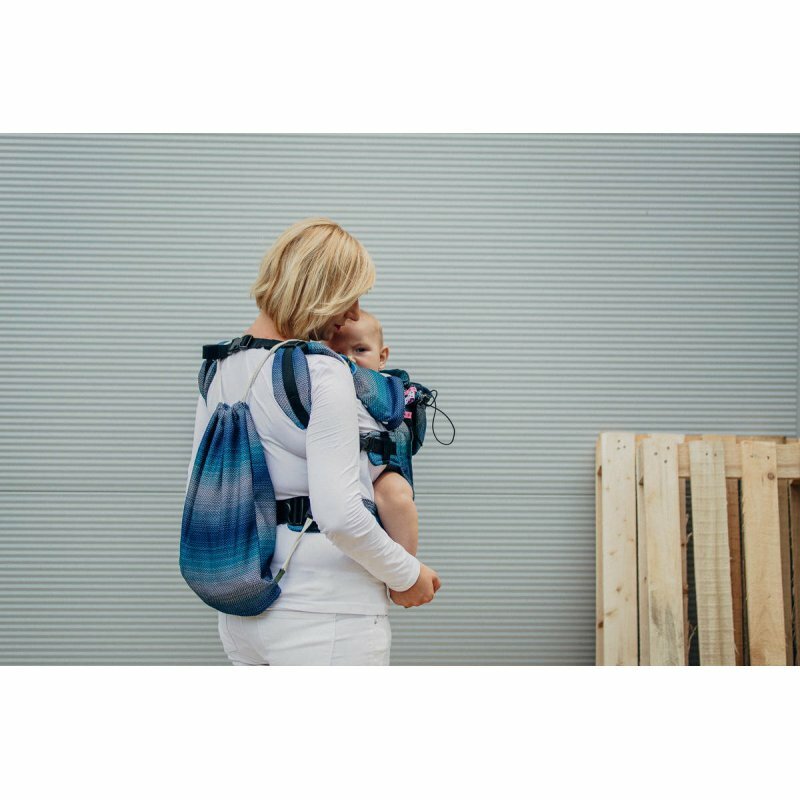 There is almost unlimited number of carries you can do with a woven wrap. 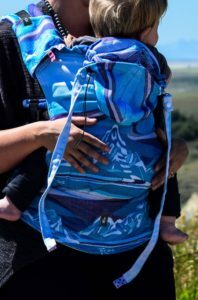 Ring Slings are a versatile carrier. They are perfect for newborns. Also our favorite carrier for quick ups around the house or fast errands while out and about! Rings are made from aluminum and contain no weld points. They are made of the same fabrics we use for our wraps and carriers lined with soft fleece! 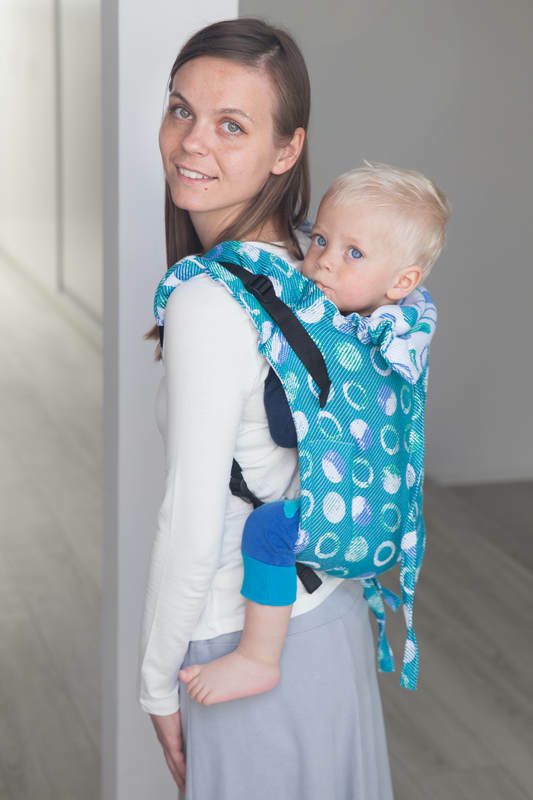 Buckle Onbu carrier is designed for children who can already sit unassisted. 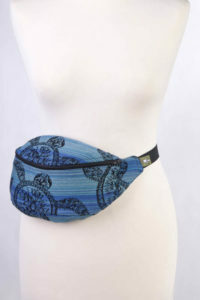 It is most commonly used for back carry. 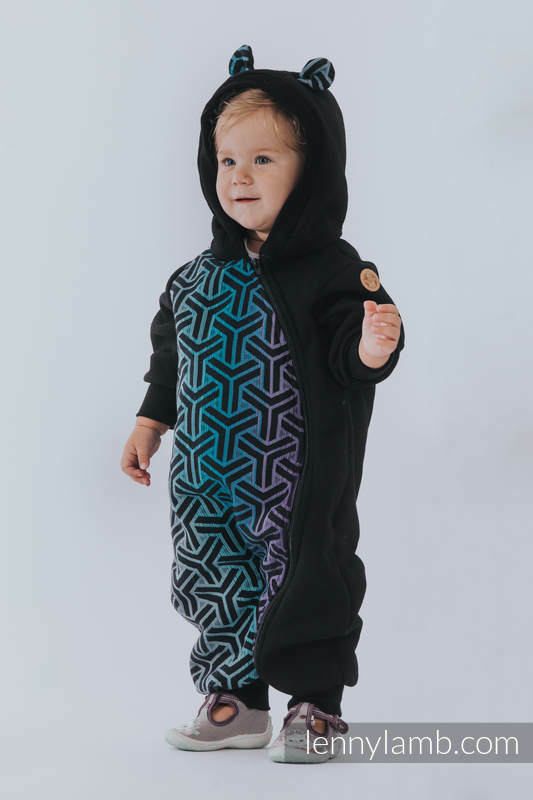 Lenny BuckleOnbu is available in one standard size. However, it has a panel that can be adjusted in its width – this makes the Lenny Buckle Onbu a truly universal carrier. 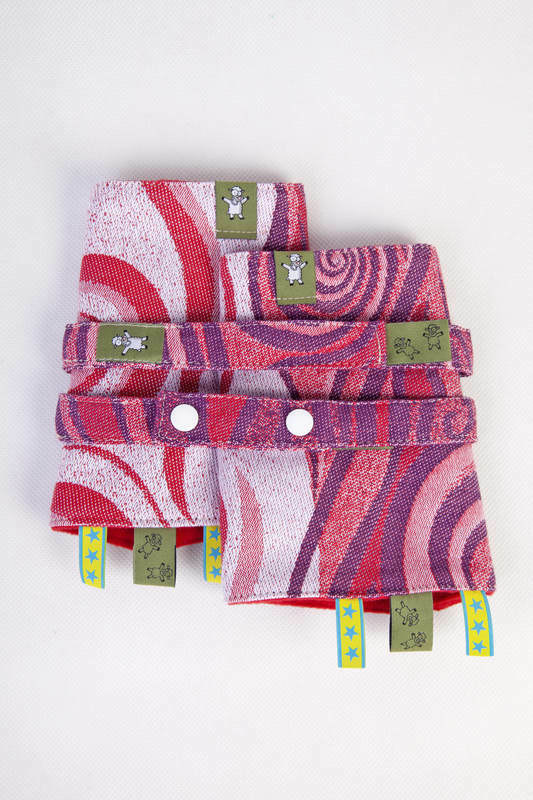 The WrapTai’s are fully reversible – wear either side out, for a different look! 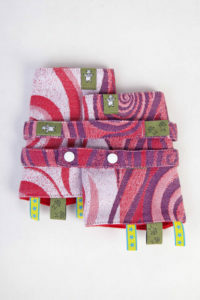 LennyLamb Doll Carriers are made of exactly the same fabrics and buckles our carriers are produced. They are safe for children and very soft! 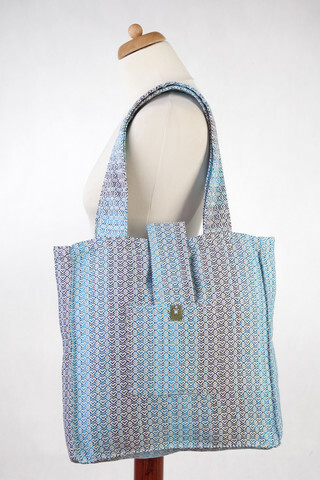 Beautifully soft shoulder bag! 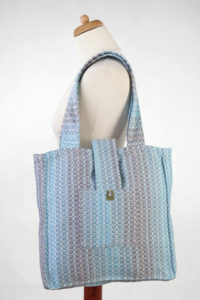 It can be worn to complement your Lenny Lamb carrier or on its own! 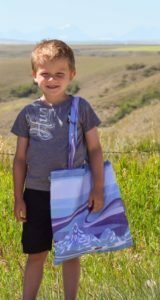 Lightweight and very roomy, these bags have many compartments and pockets to keep you well organized while showing off some of the most gorgeous prints!